My Dear Fathers, All preparations for the National St. Joseph Vaz Day are by now complete. It is a great sign of lay awakening that this day has been organized on the initiative of the Laity with the sponsorship of the Catholic National Commission for the Lay Apostolate. 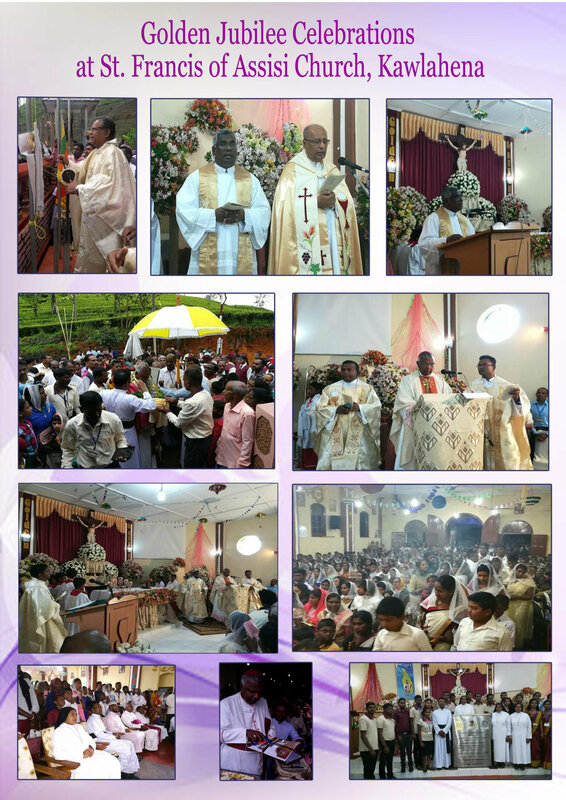 A large crowd is expected at St. Anthony’s National Shrine, Wahakotte on 4th November, to give thanks to God Almighty for our beloved Apostle, St. Joseph Vaz and to reflect on the Baptismal commitment of everyone in the Church to bear witness to Jesus and to the Gospel. I wish to remind all the Parish Priests and heads of institutions to organize our faithful and Religious to attend this important event at Wahakotte on the 4th of this month. 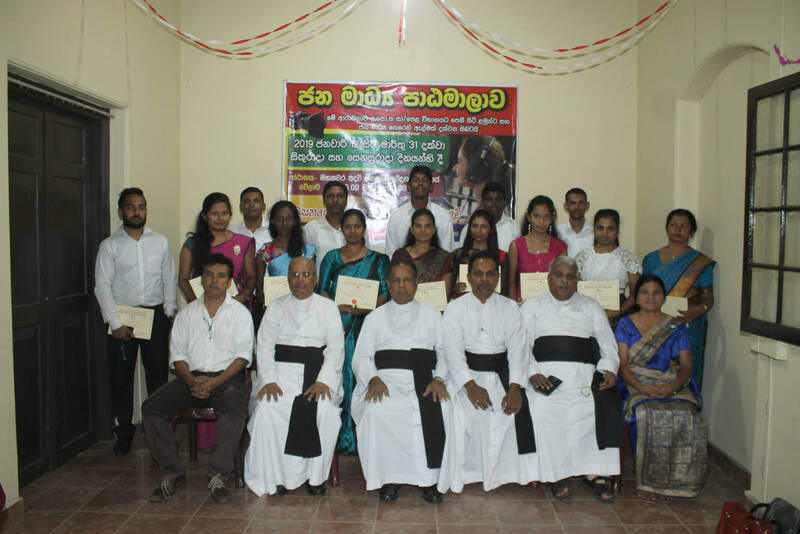 At the last meeting of the Kandy Diocesan Pastoral Council ,with the representatives from all the parishes as well as the Directors of lay apostolates and Religious, we discussed the theme for the diocese for 2018, namely “deepening the faith of our people in view of becoming powerful witnesses to Lord Jesus and to the Gospel”. The enthusiasm of the lay representatives was overwhelming. I wish to therefore, recommend to all of you to discuss with your parish council and other lay associations the theme for the next year and come up with concrete proposals which you could implement throughout the year 2018. If we make specific plans with a time frame we shall achieve a deep renewal of faith and discover ways of witnessing to our faith in our own environment. The Supreme Pontiff has been urging us in “Evangelii Gaudium” to become a Church of missionary disciples. This can be achieved according to the Holy Father, if we discern ways and means of witnessing to the Lord and to the Gospel with sensitivity to the realities in which we live. The Hoy Father uses a revealing phrase namely that we should in our missionary endeavours, listen to the Holy Spirit “with an ear to our faithful”. The laity are willing to take on the missionary task if we form them through the word of God and meaningful celebration of the Sacraments. 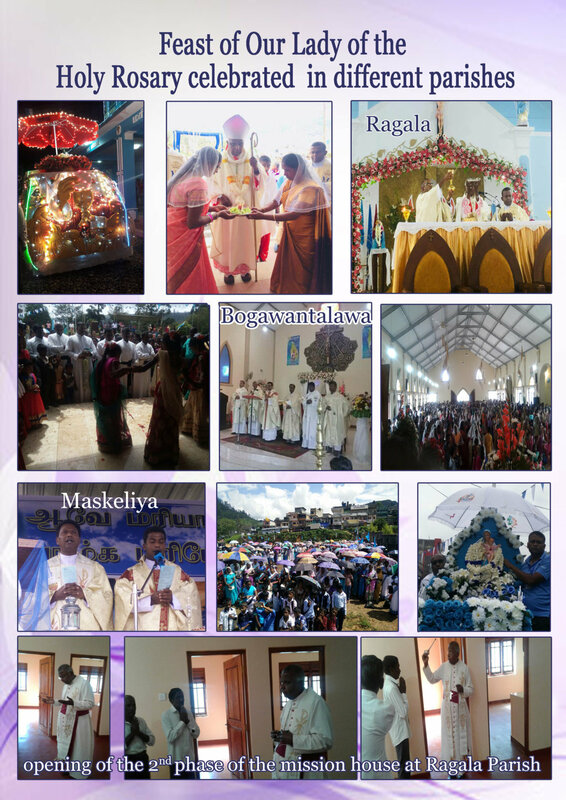 We shall therefore, make every effort to organize the laity through our parish councils and apostolic movements and associations with regular catechesis on the Bible (weekly Bible classes for adults) and the teachings of the Church on important matters, such as respect for life (specially the unborn) and human dignity and equality. The process of framing a new constitution for the country to bring about a united people with equality and dignity for all ,seems to be once again encountering difficulties. The history of our country, since independence, shows clearly that every attempt undertaken to ensure a Sri Lankan identity, has been scuttled by extremist elements who refuse to accept the multi-ethnic ,multireligious and multi-cultural nature of our Motherland. We need to make our people aware of the need to support the process of bringing about reconciliation and unity. Our Sylvestro – Benedictine brethren will be celebrating their patronal feast on the 27th of November at Monte Fano. This year is specially significant as it is the 750th anniversary of St. Sylvester’s entry into heaven which is known as his “ Transitus”. Let us thank God with them for the gift of St. Sylvester whose sons have been pioneering missionaries in many parts of the country and specially in our diocese. We wish our brothers in the Sylvestro-Benedictine Order a gracefilled and a happy patronal feast. lace ; St. Patrick’s College, Talawakelle. For Roman Catholic and Orthodox faiths, All Saints Day honors exemplary Christians who achieved sainthood. This includes unknown Christians and Martyrs who have attained beatific vision (a form of direct knowledge and communication with God). In the early church, each martyr was celebrated on the anniversary on his or her death. Over time, churches began combining these observances and ultimately ended up with one day to honor all of them. The celebration of All Saints Day began in the 7th Century in Rome when Pope Boniface IV dedicated the Pantheon. 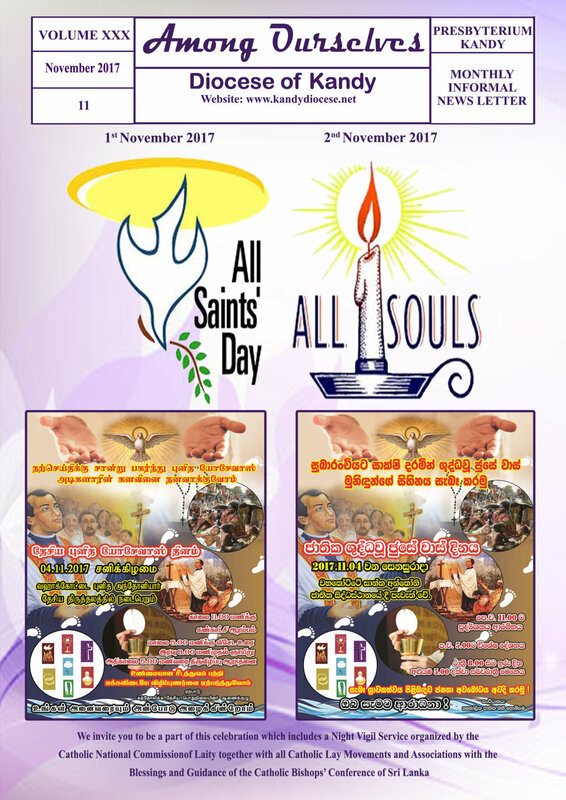 All Saints Day is an observation held by both Protestant and Roman Catholic churches on November 1. A similar holy day, called the Sunday of All Saints, occurs in the Orthodox Church on the first Sunday after the Feast of Holy Pentecost. In the Lutheran and some other Protestant churches, All Saints Day is celebrated with Reformation Day, which marks the beginning of the Protestant movement to reform the Roman Catholic Church. The Protestants eventually split from Catholicism. Go to church and light a candle for your departed loved ones. This is common for All Saints Day as a way to commemorate relatives and loved ones who have died during the previous year. Some families meet on All Saints Day after church to repair and spruce up the graves of their loved ones. Tend to your family’s last resting place. Welcome at the end of the International Convention on Ratio Fundamentalis, organized by the Congregation for the Clergy, and I thank the Cardinal Prefect for the kind words he addressed to me. The theme of priestly formation is decisive to the mission of the Church: the renewal of faith and the future of vocations are possible only if we have well-formed priests. However, what I would like to say to you first of all is this: priestly formation depends firstly on the action of God in our life, and not on our activity. It is a work that requires the courage of letting ourselves be formed by the Lord, to transform our heart and our life. This calls to mind the biblical image of clay in the hands of the potter (cf. Jeremiah, 18: 1-10) and the episode in which the Lord says to the prophet Jeremiah: “Arise and go down to the potter’s house, and there I will cause you to hear My words” (v.2). The prophet goes and, observing the potter who works the clay, he understands the mystery of God’s merciful love. He discovers that Israel is conserved in the loving hands of God Who, like a patient potter, takes care of His creature, places the clay on the wheel, models it, forms it and, in that way, gives it shape. If He realizes that the vase has not turned out well, then the God of mercy once more puts the clay into the mass and, with the tenderness of the Father, begins to mold it again. This image helps us understand that formation is not resolved by cultural review or the odd sporadic local initiative. God is the patient and merciful artisan of our priestly formation and, as is written in the Ratio, this work lasts a lifetime. Every day we discover – with Saint Paul – that we carry “this treasure in earthen vessels, that the excellence of the power may be of God and not of us” (2 Cor 4: 7), and when we detach ourselves from our comfortable habits, from the rigidity of our mindsets and the presumption that we have already arrived, and have the courage of placing ourselves in the Lord’s presence, then He can resume His work on us, He forms us and transforms us. We must say it firmly: if one does not allow oneself to be formed by the Lord every day, he becomes a spent priest, who drags himself through his ministry out of inertia, with neither enthusiasm for the Gospel nor passion for the people of God. Instead, the priest who day by day entrusts himself to the wise hands of the Potter, with a capital “V”, conserves over time the enthusiasm of the heart, welcomes with joy the freshness of the Gospel, and speaks with words able to touch the life of the people; and his hands, anointed by the bishop on the day of his ordination, are capable in turn of anointing the wounds, the expectations and the hopes of the People of God. And let us know come to a second important aspect: each one of us as priests is called to collaborate with the divine Potter! We are not merely clay, but also the Potter’s helpers, collaborators in His grace. In priestly formation, both initial and permanent – they are both important! – we can recognize at least three protagonists, whom we also find in the “potter’s workshop”. The first refers to ourselves. In the Ratio it is written: “it is the priest himself who is principally and primarily responsible for his own ongoing formation” (no. 82). Just so! We allow God to mold us and assume the “mind … which was also in Jesus Christ” (Phil, 2: 5), only when we do not close ourselves up in the pretense of being a work that has already been completed, and let ourselves be led by the Lord, becoming His disciples more each day. To be the protagonist of his own formation, the seminarian or the priest must say “yes” or “no”: more than the noise of human ambitions, he will prefer silence and prayer; more than trust in his own works, he will know how to surrender himself to the hand of the potter and to His provident creativity; more than by preestablished mindsets, he will let himself be guided by a healthy restlessness of the heart, so as to direct his own incompleteness towards the joy of the encounter with God and with his brothers. Rather than isolation, he will seek out the friendship of brothers in the priesthood and with his own people, knowing that his vocation is born from an encounter of love: with Jesus, and with the People of God. The second protagonist is formators and bishops. The vocation is born, grows and develops in the Church. In this way, the hands of the Lord that model this clay pot work through the care of those who, in the Church, are called upon to be the first formators of priestly life: the rector, the spiritual director, the educators, those who are engaged in the permanent formation of the clergy and, above all, the bishop, whom the Ratio justly defines as “primarily responsible for admission to the seminary and formation for the priesthood” (no. 128). If a formator or a bishop does not “go down into the potter’s workshop” and does not collaborate in the work of God, we will not be able to have well-formed priests! This demands special care for vocations to the priesthood, a closeness filled with tenderness and responsibility towards the life of priests, a capacity for exercising the art of discernment as a privileged tool for all the priestly path. And – I would like to say above all to bishops – work together! Be broad-hearted and comprehensive so that your action may cross the boundaries of the diocese and enter into connection with the work of other brother bishops. It is necessary to dialogue more on the formation of priests, to overcome parochialism, to make shared decisions, initiate good formative paths together and prepare from far-away formators who are capable of such an important task. Care about priestly formation: the Church needs priests who are capable of announcing the Gospel with enthusiasm and wisdom, of igniting hope where the ashes have covered the embers of life, and of generating faith in the deserts of history. Finally, the People of God. Let us never forget this: the people, with the labor of their situations; with their questions and their needs, are the great wheel that forms the clay of our priesthood. When we go out among the People of God, we let ourselves be formed by their expectations; touching their wounds, we realize that the Lord transforms our life. If a portion of the people is entrusted to the pastor, it is also true that the priest is entrusted to the people. And, despite resistance and misunderstanding, if we walk in the midst of the people and devote ourselves to them with generosity, we will realize that they are capable of surprising gestures of attention and of tenderness towards their priests. It is a true school of human, spiritual, intellectual and pastoral formation. Indeed, the priest must stay between Jesus and the people: with the Lord, on the Mount, he renews every day the memory of his calling; with the people, in the valley, without ever being afraid of the risks and without rigidity in judgment, he offers himself like bread that nourishes and water that slakes thirst, “passing and blessing” those he encounters on the way and offering them the anointment of the Gospel. 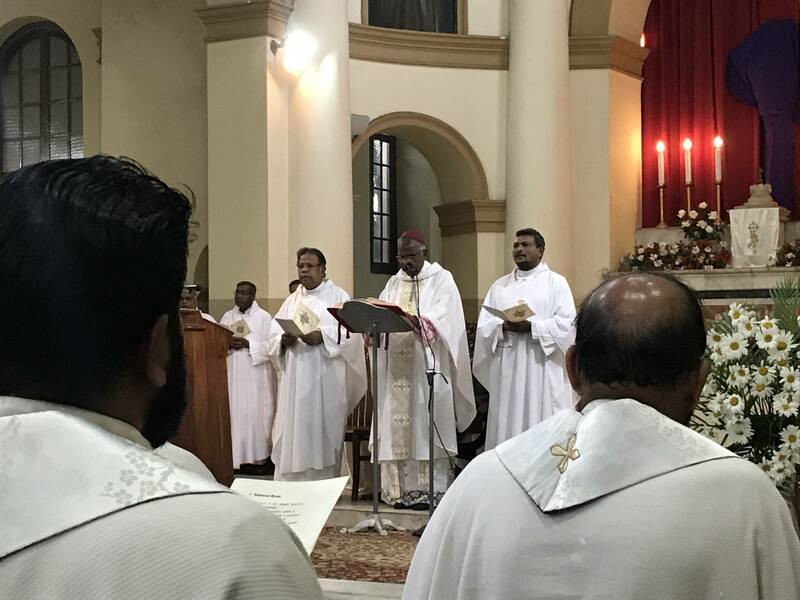 The martyrial Congregation of the Claretian Missionaries is being officially recognised by the Church through several Decrees of Beatification. For us, they were already martyrs. Being ‘Blessed’ has only confirmed the significance of martyrdom in the life of so many of our brothers: Priests, Brothers and Students. Most of them were young men. The youngest, Bro. Nicolas Campos, professed at just sixteen years of age. 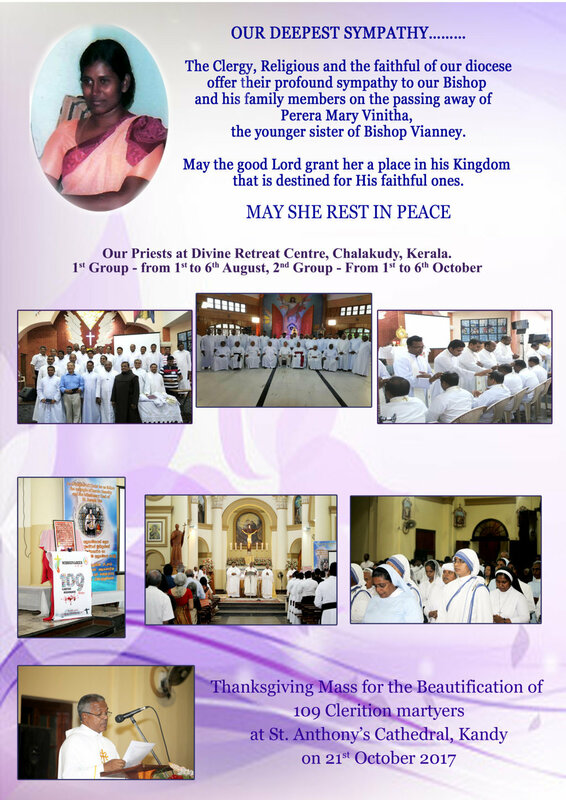 We also rejoiced in 2005 for the beatification of Fr. Andres Sola, martyred in Mexico, together with a young priest and a lay man. In 2013, we celebrated the beatification of 23 Claretian brothers in Tarragona: 7 from Tarragona and La Selva del Camp and 16 from Sigüenza and Fernan Caballero. Now in 2017 we celebrate the beatification of no less than 109 martyrs, headed by Mateu Casals (Priest), Teofilo Casajus (Student) and Ferran Saperas (Brother). With this beatification, which is being celebrated in the Sagrada Familia Basilica in Barcelona, the Spirit of the Lord comes to us with his gift of fortitude and blessing for our Claretian Family and for the martyrial Church of every age. • “I pardon all those who want to do me harm, and I give them an embrace of friendship; I hold no rancour towards anybody, nor to those who have thrown me in the house like a dog; they also did it to You.” ( Jaime Payás). • “Don’t think that I am afraid: now more than ever I give thanks to God for having made me a religious and a priest. Religious – Priest, martyr of Jesus Christ. What greater glory could you wish for?” ( Javier Morell, to his parents from the prison in Lleida). • “Pray to God that if they are going to kill us, we die as martyrs.” ( Isaac Carrascal, Castro Urdiales). • “Kill me whenever you want; but this no, never! I am a virgin and a virgin I will die” ( Ferran Saperas). • “Dear father, … Here we are without any cares, trusting only in God as He is the one who rules and governs all the events that are happening…. We think of heaven and all the things here below seem outdated and of no importance. Have no fear for my fate because, if need be, I have decided to shed my blood for the cause of Jesus Christ” (Student Adolfo De Esteban. Extract from a letter to his father of 10 of May 1936). • “If it happens that we go together to martyrdom and I don’t remember to give you absolution, because of the shock at the time, remind me to do so. If they want to kill us, I want it to be only for God, or rather that they kill me celebrating, administering the sacraments and praying. But not for other human or political motives. If they kill us as fascists, it has little grace or merit, there are fascists of every colour. But if they kill us for celebrating Mass or for being Catholics, this is meritorious before God, this is what it is to be martyrs”. (Fr. Julio Leache). • On being shot in Alboraya Marcelino Alonso pardoned his enemies and exclaimed: “Have compassion on me. Oh, my sweet Mother”. “We pardon you from our hearts,” exclaimed Fr. Jose Ignacio Gordon de la Serna, directed to his executioners: he smiled at them and his life was extinguished as a pleasing holocaust to the Lord. • “What happiness it is to die in burning love and be reborn in your arms and to die always on your breast! Oh Death, Death, surrendering at your feet, I bow down! You alone can calm my infinite longings. Hail, great Liberator! Look at me, imprisoned in the flesh. Cut my bonds and the bird will fly away. Let me leave a burning kiss on your scythe; before the saving blade you have the straw of my life. Harvest time!….Oh, now I am happy! Jesus….., Jesus…Now I have you!” ( José María Serrano). • “I am always prepared to give my life for God. And at Mass each day I prepare myself and I offer myself as a victim for the purpose that the Heavenly Father be served. Each day I pray for the one who is going to kill me…. As much as I have loved and done for the workers and it will be the workers who will kill me” ( Jaume Girón). “The martyrs, who are the most authentic witnesses to the truth about existence. The martyrs know that they have found the truth about life in the encounter with Jesus Christ, and nothing and no-one could ever take this certainty from them. Neither suffering nor violent death could ever lead them to abandon the truth which they have discovered in the encounter with Christ. This is why to this day the witness of the martyrs continues to arouse such interest, to draw agreement, to win such a hearing and to invite emulation. This is why their word inspires such confidence: from the moment they speak to us of what we perceive deep down as the truth we have sought for so long, the martyrs provide evidence of a love that has no need of lengthy arguments in order to convince. The martyrs stir in us a profound trust because they give voice to what we already feel and they declare what we would like to have the strength to express.” (n. 32). Cardinal Angelo Comastri shares heartfelt stories of Pope John. The life of Pope St. John XXIII shows the saint’s deep spiritual nature, as well as his great kindness toward others, said a cardinal who knew him well. “If in John Paul II the key phrase is ‘courage of the faith,’ in John XXIII the key phrase is ‘the strength of goodness,’” Cardinal Angelo Comastri told CNA. Cardinal Comastri is the president of the Fabric of St. Peter, archpriest of St. Peter’s Basilica and vicar general for the Vatican City State. He worked alongside both Pope John XXIII and Pope John Paul II for many years as a member of the Roman Curia. Recounting the day when John XXIII was elected Pope, the cardinal recalled that when the new pontiff appeared on the main balcony of St. Peter’s Basilica to greet the crowds, he could hear their voices but could not see them due to the brightness of the lights. The cardinal said, “He gave a blessing, but when he returned to the doorway he said: ‘I heard the voices, but I couldn’t see anyone.’” “It was a lesson for me: If I want to see the faces of my brothers, I have to turn off the lights of my pride,” he added. Vatican City: Pope Francis on October 15 gave the Catholic Church 35 new saints, nearly all of them martyrs, from past centuries. The Pope proclaimed the latest saints during a Mass he celebrated in St Peter’s Square, report agencies. The new saints include three indigenous children martyred in 16th century Mexico and considered the first Christians killed for their faith in the New World. Thirty martyrs, including priests and lay persons, suffered anti-Catholic persecution in 1645 at the hands of Dutch Calvinists in Brazil. The other two new saints are a 20th-century priest from Spain and an Italian priest who died in 1739. Since becoming pontiff in 2013, Francis has repeatedly paid tribute to Christians suffering or even dying for their faith in current times, especially in the Middle East. At the end of the canonization ceremony, Pope Francis hailed the new saints as “shining witnesses to the Gospel.” In recent decades, the Church has stressed that the latest saints can serve as role models for today’s Catholics. Francis used the occasion to announce that he had decided to call a meeting of bishops, or synod, from countries in the Pan-Amazon region for October 2019, to discuss the condition of the Church in the area and the plight of indigenous people. The region includes Guyana, Suriname, French Guyana, Venezuela, Ecuador, Colombia, Bolivia, Peru and Brazil. The three children the pope canonized before a crowd of tens of thousands in St Peter’s Square were of the Talaxcaltec people, an indigenous pre-Colombian group in what is now Mexico. The first child, Cristoforo, was converted to Christianity by Franciscan missionaries and was killed in 1527 by his own father, a tribal chief who spurned his son’s attempts to convert him from paganism. The boy was beaten and thrown into a fire when he was 13. Two other indigenous children from the same area, Antonio and Juan, were killed by Indios in the village of Cuauhtinchan in 1529 as a result of their conversion. They are believed to have been 12 or 13 when they were beaten to death for helping Dominican missionaries. The saints from Brazil are two Portuguese missionaries and 28 followers killed by Dutch colonial soldiers during a period of persecution of Catholics. In announcing the 2019 synod for bishops from the Amazon region, Francis said indigenous people there today were “often abandoned and without the prospect of a bright future, even due to the crisis of the Amazon Forest, a lung of utmost importance for our planet”. Pope Francis, an Argentine and the first Latin American pope, has often linked his calls for social justice, particularly for indigenous people, to those for defense of the environment, saying the poor will suffer the most from the effects of climate change. In 2015 he wrote a landmark encyclical, or papal letter, on defense of the environment and he has called for special protection for the Amazon region because of its vital importance to the planet’s ecosystem. In his comments on October 15, the Pope did not mention the role of the Church in suppressing native cultures in the New World.